Edwards are an independent estate agents, based in Bristol. I previously worked on a brand refresh for them, which included the introduction of a new set of sale boards, incorporating my illustrations and those of fellow Drawn in Bristol members. 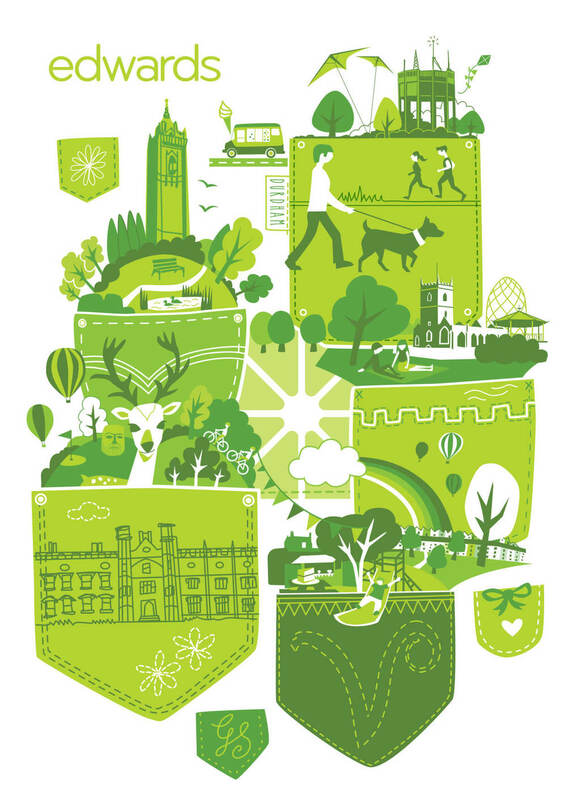 The theme 'One Thing I Love about Bristol...' was developed as the basis of the campaign, with a new illustration being released quarterly, to be used on postcard flyers and print advertisements. Each illustration depicts a reason given by a member of the Edwards' team as to why Bristol is such a great place to live. 2. Senior Negotiator, Nick's answer to the question "The shops on Park Street and the guys that skateboard down the middle of the road at the same speed as the cars, sometimes even faster!" "Carys… just great! She has been instrumental in the design and implementation of our complete brand. A valued member of our creative team; and we would not be what we are today without her ongoing care and attention. Honest, inventive, creative and professional… "
Promotional book illustrations for Zeke Creative - with a theme of 'elegance'. 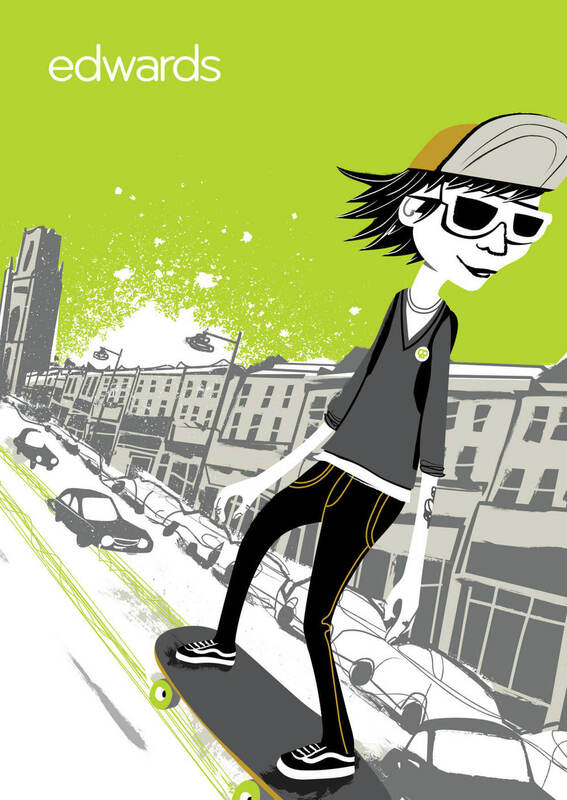 These illustrations also use a limited colour palette.